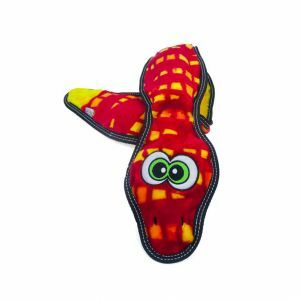 Outward Hound Invincibles Tough Skinz Cobras are made with durable Invincibles Squeakers that Keep Squeakin' If Punctured and feature exotic animal skin prints and patterns! 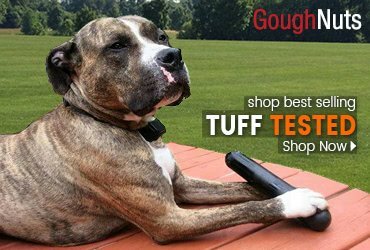 Tough Skinz are as durable as they are adorable and sport a colorful top layer of strong material backed with our super strong Chew Shield. 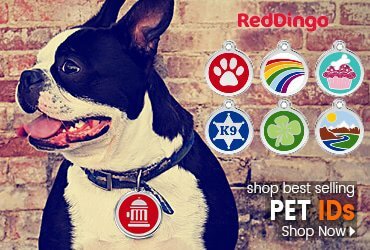 With strong stitched seams and tough construction, these durable plush toys are great for super chewers and players. SCALES AND TAILS: Great for tough chewers and aggressive players, this extra long Skinz Cobra is as tough as it looks! 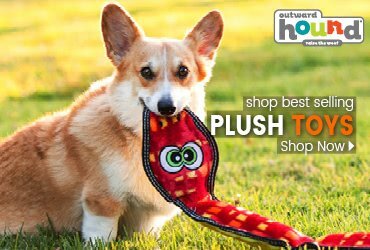 Inspired by slippery cobra scales and long snake tails, this toy is sure to bring big fun to your dog’s playtime. 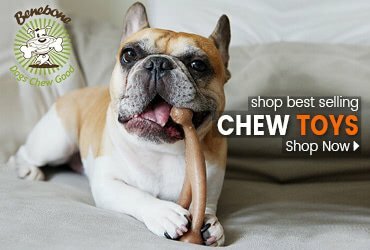 SNAKEBITE STRONG: Each Outward Hound Invincibles Skinz Cobra is made with a durable chew shield and a heavy-duty binding that adds an extra layer of strength during play, tug and chew time with your dog. 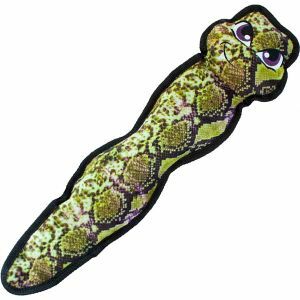 WILD FUN: Invincibles Skinz Cobras are totally tough for playtime and built with Invincibles Squeakers that Keep Squeakin’ When Punctured; plus, their printed patterns extra-long length is inspired by real cobras!